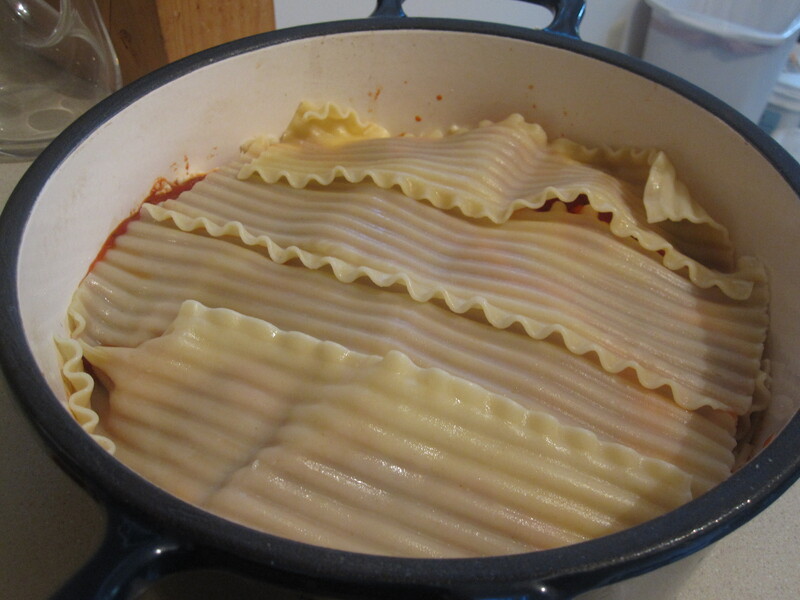 I love lasagna but I have found that making it in a traditional rectangular lasagna pan limits the amount of layers and fillings I can add. 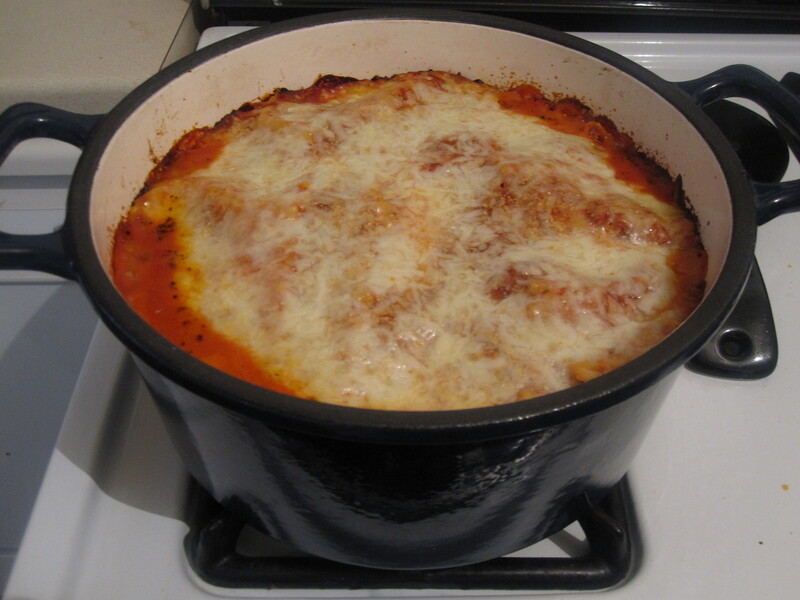 So I decided to try something different this time around and made my lasagna in a dutch oven. 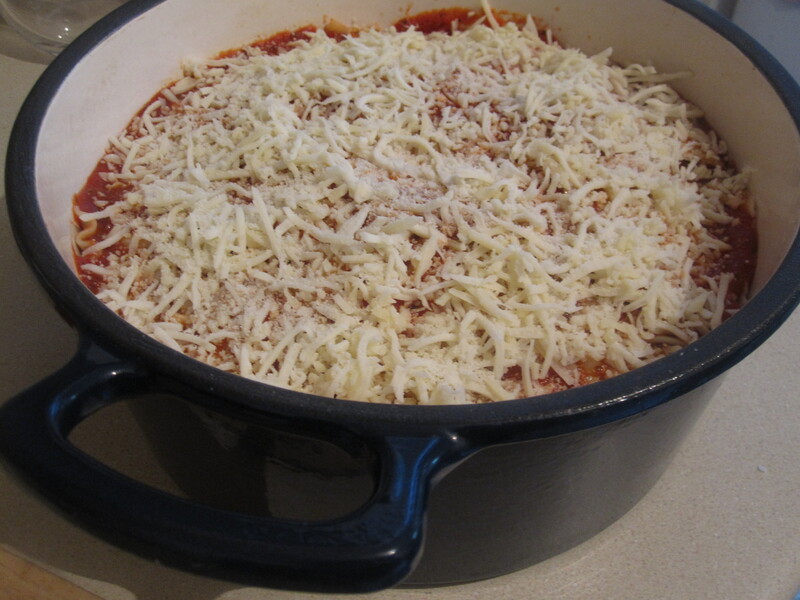 For those who do not have a dutch oven you could also use the ceramic pot of your crock pot as the vessel for this classic dish. 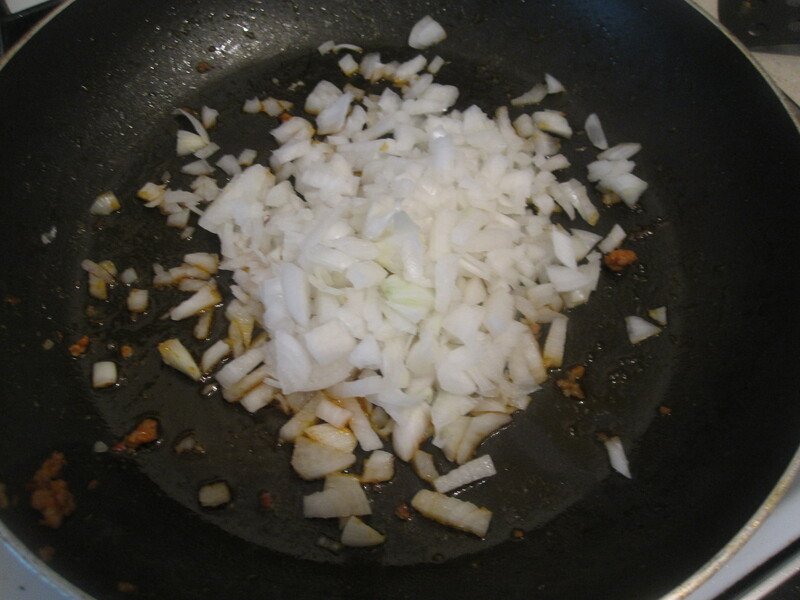 I started off by making my fillings for the lasagna. 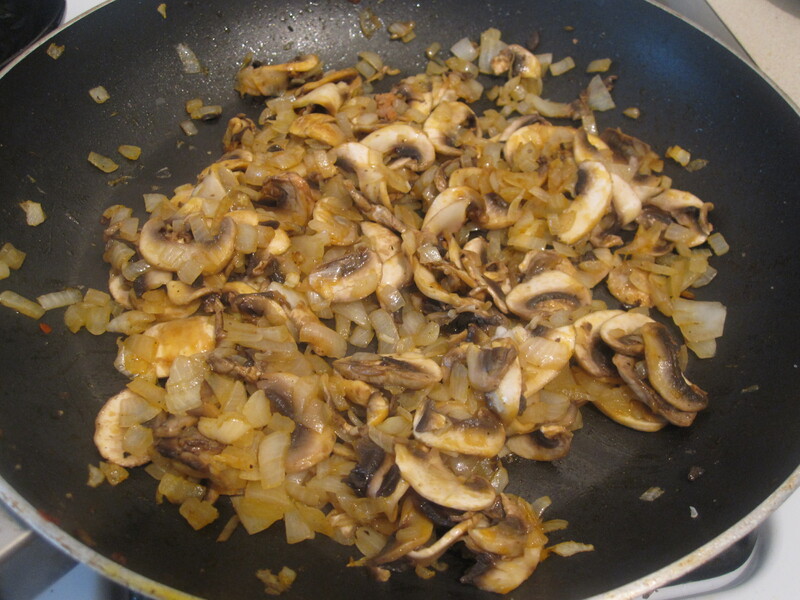 First I sauteed some onions and mushrooms and set those aside. Another filler I typically add is sausage. 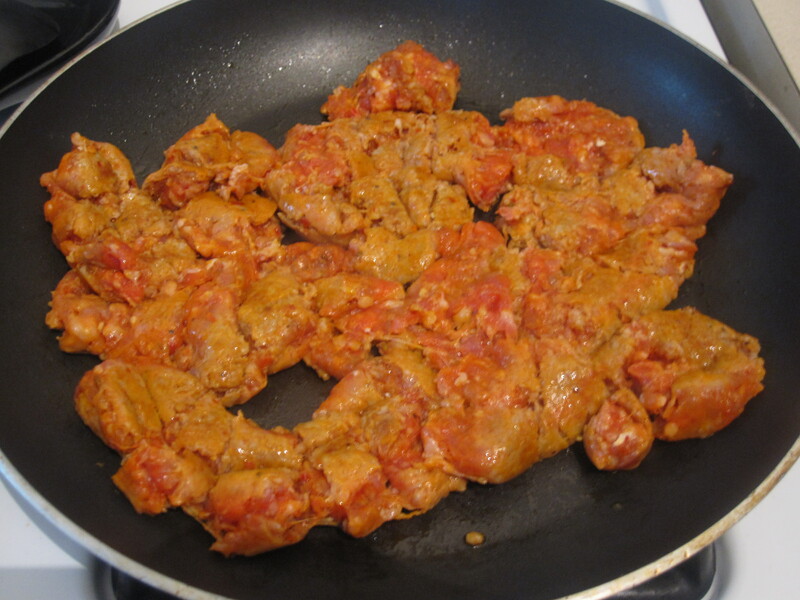 For this dish I used hot Italian Sausage. I just cook it up and try to break it down into small bite size pieces. Once it’s cooked through I drain it and set it aside as well. 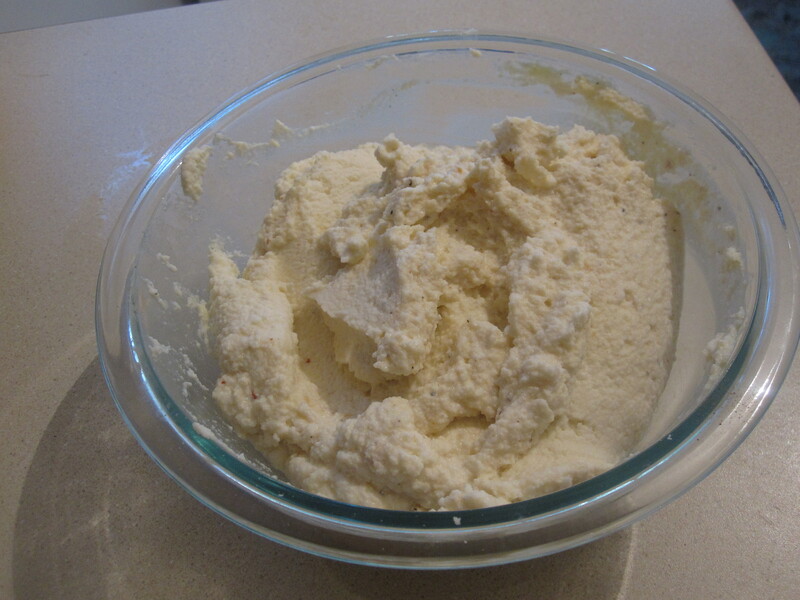 The next filler is one of the most important- the ricotta cheese. 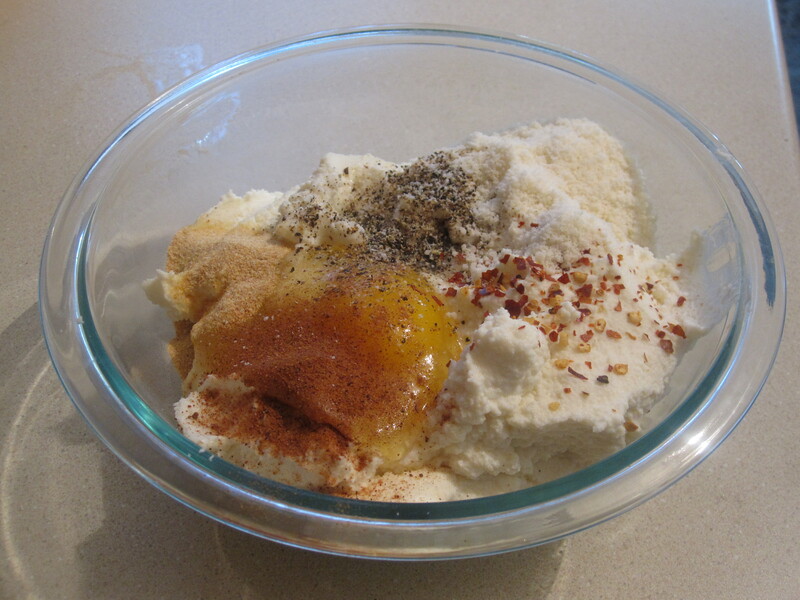 To the ricotta I add an egg, freshly minced garlic, and my dried spices- typically salt, pepper, Italian seasoning, and crushed red pepper. Once all the fillers are set it’s time to assemble everything. I cooked the pasta as the directions on the box specified (I used Dreamfields low carb pasta) and gathered tomato sauce and shredded mozzarella as well. Then it’s really up to you how you want to layer everything. 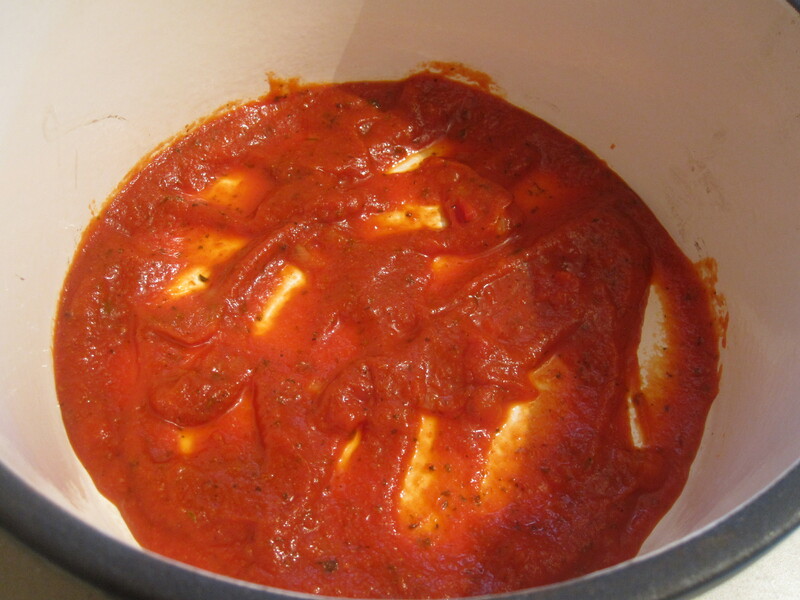 I always start of with a layer of sauce and then noodles. Here you get a sense of the depth of this pot. 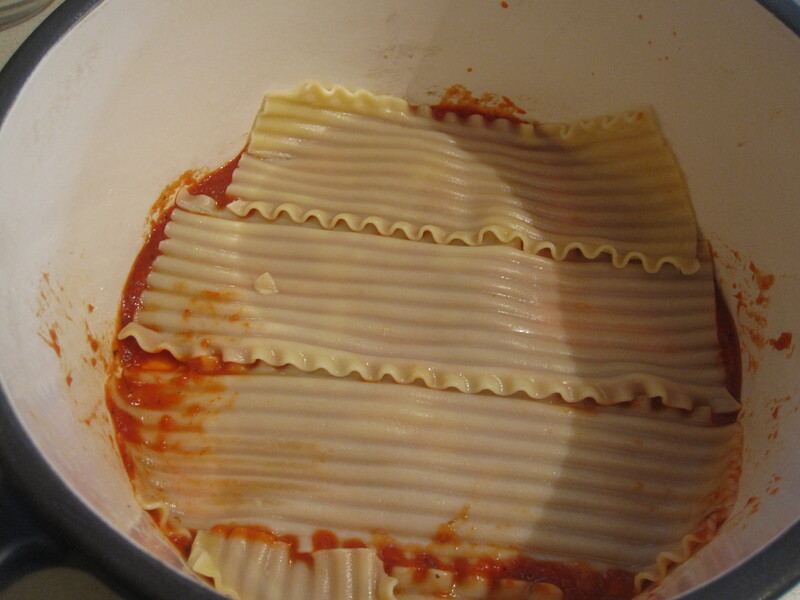 I trimmed my pasta so it would fit in here. Obviously with the round dish it’s a bit more challenging, but it worked out just fine. 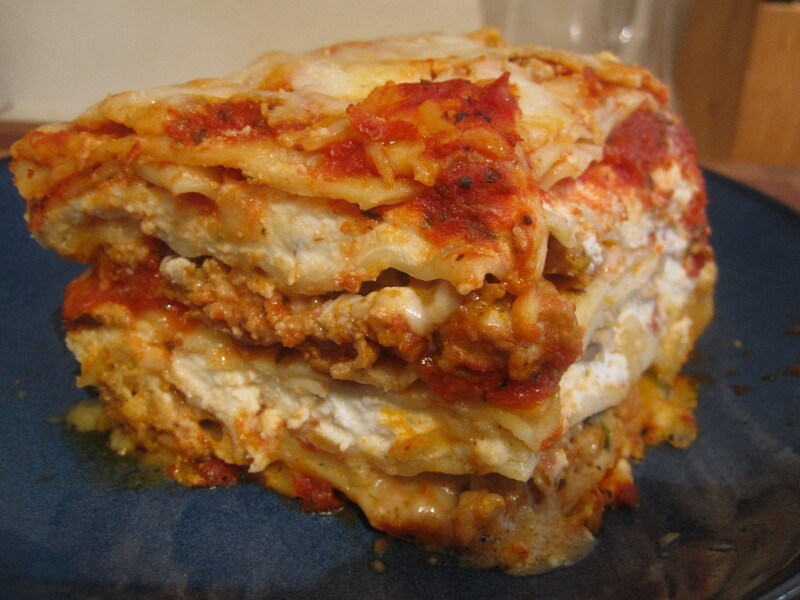 I sort of freestyle the rest of the layers- ricotta, sauce, pasta. 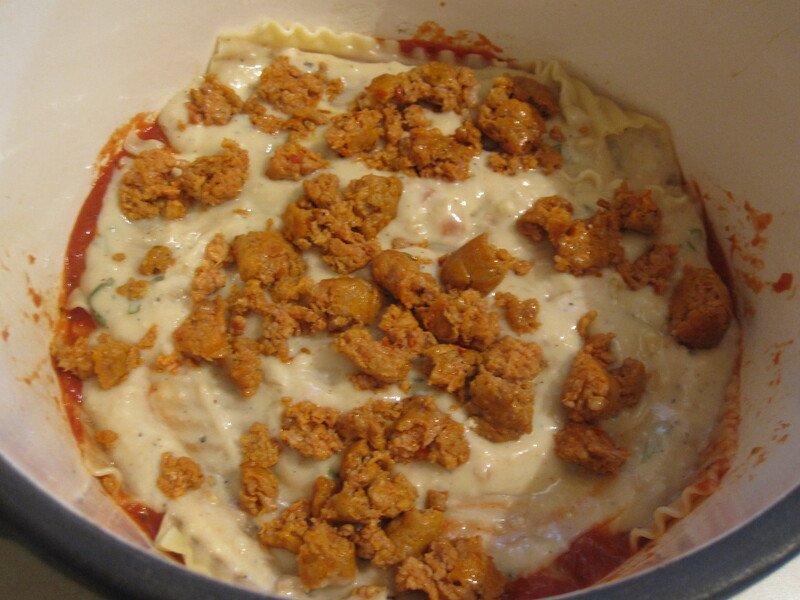 Sausage, sauce, pasta. 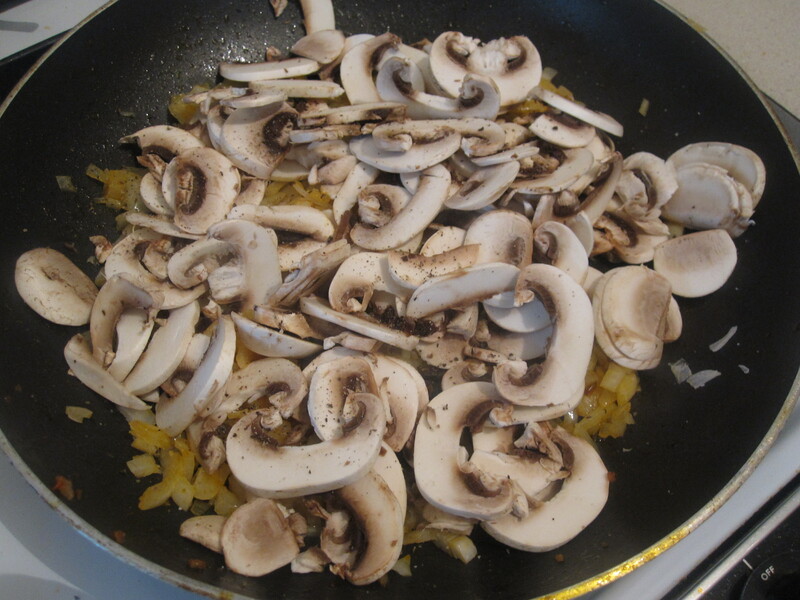 Mushrooms and onions, sauce, pasta… you get the idea. Go until you reach the top or you run out of ingredients! I topped it all with some shredded mozzarella. The next step is to bake it. 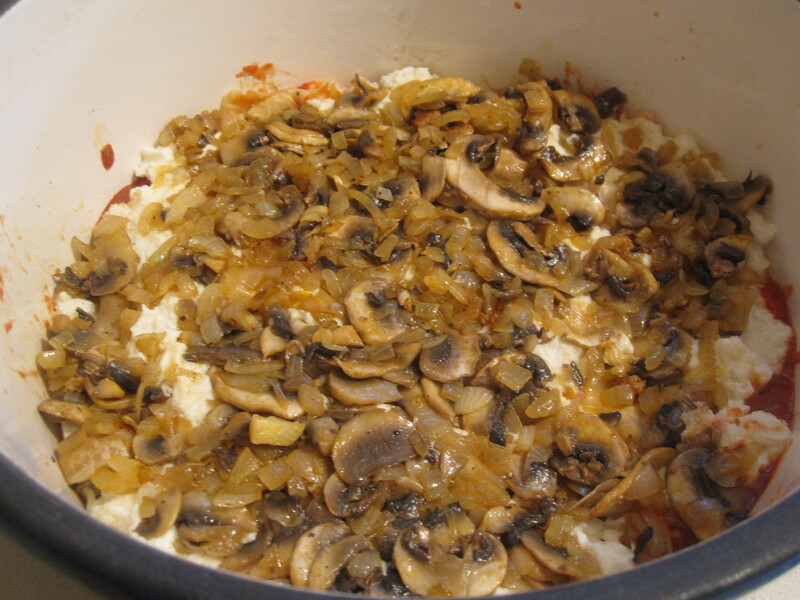 What I also loved about using the dutch oven was that I could cover it using the lid. 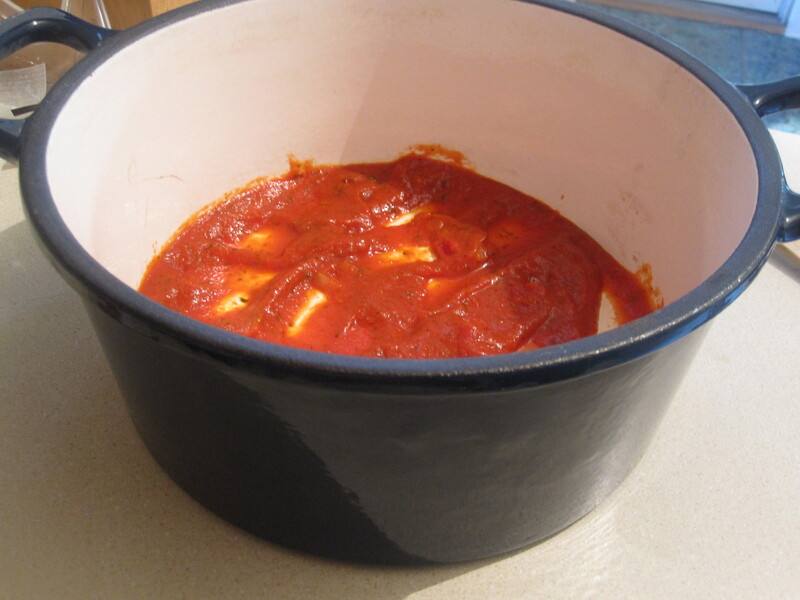 In the past when I used the lasagna pan I would cover it with tin foil and since I would fill the pan to the top the cheese would always melt and stick to the tin foil. When I would take the foil off, half of the cheese would come off too. By using the lid here I was able to avoid that mess. I baked it for about 35-40 minutes at 375 degrees and took the lid off for the last 5 minutes of cooking. 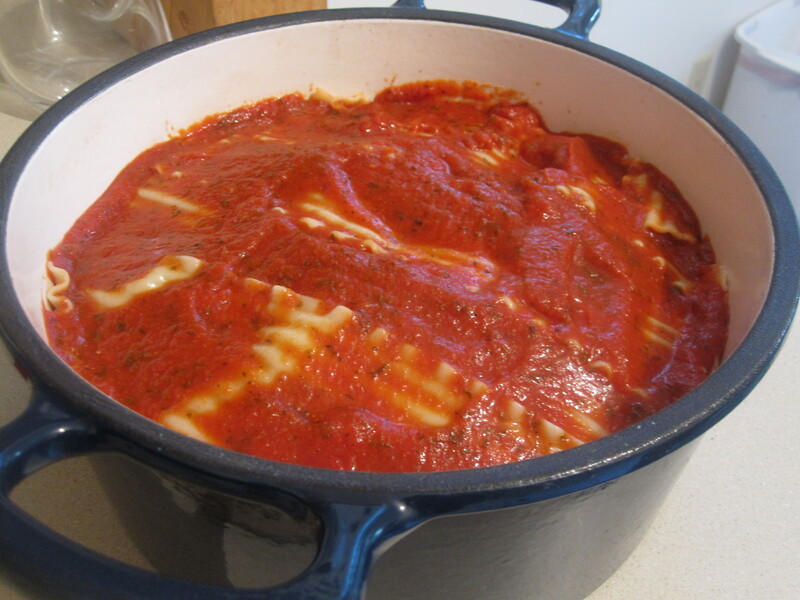 Once the sauce is bubbling and the cheese is melted it’s done. Its tough to do this, but if you can let it rest for a good 15 minutes before you cut it. Easier said than done though! It came out great. You can see all the layers below. It takes a while to prep this dish but as you can probably guess you will have leftovers for days. 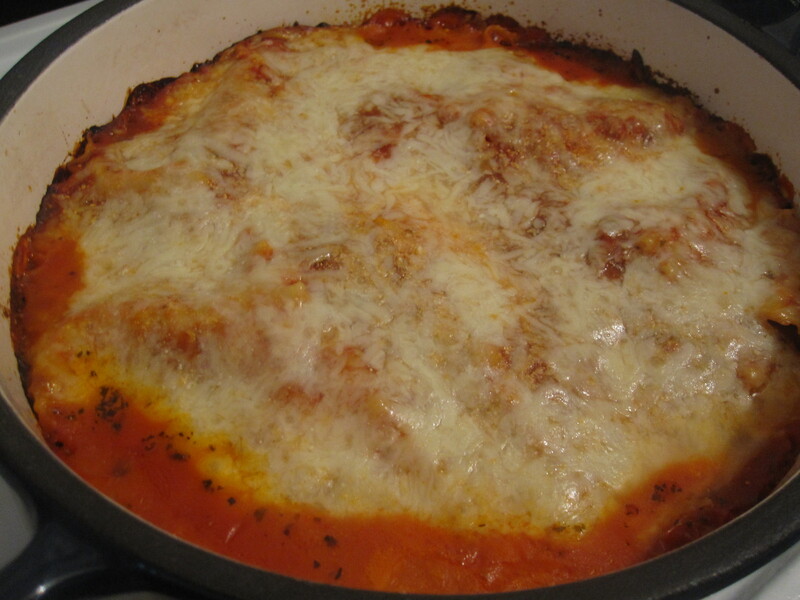 Leftover Italian dishes always taste better than the first night too! I hope you like this one. 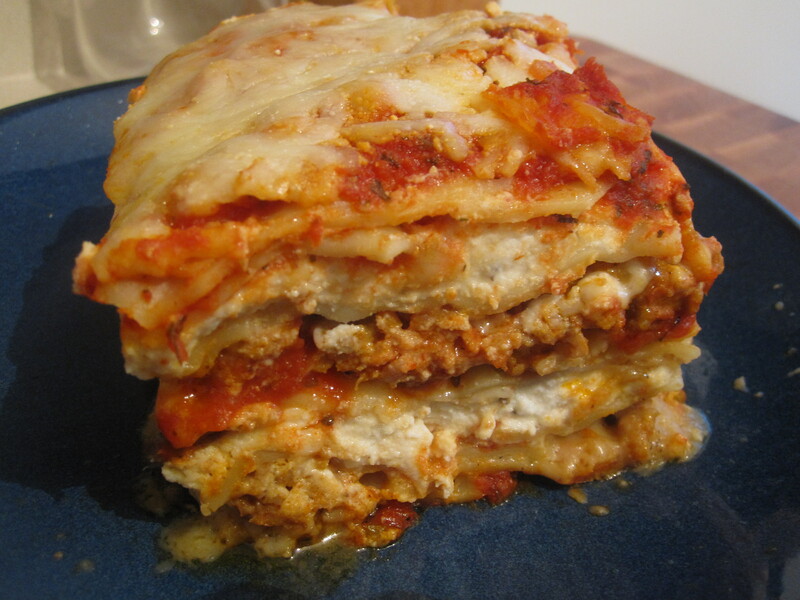 This entry was posted in Pork and tagged dinner ideas, dutch oven lasagna, garlic, good leftovers, how to make lasagna in a dutch oven, Italian, lasagna, low carb pasta, mozzarella, mushrooms and onions, ricotta cheese, sausage. Bookmark the permalink. Looks great! Will have to try it out soon! make your own ricotta some time.. it’ll rock your tastebuds’ world. 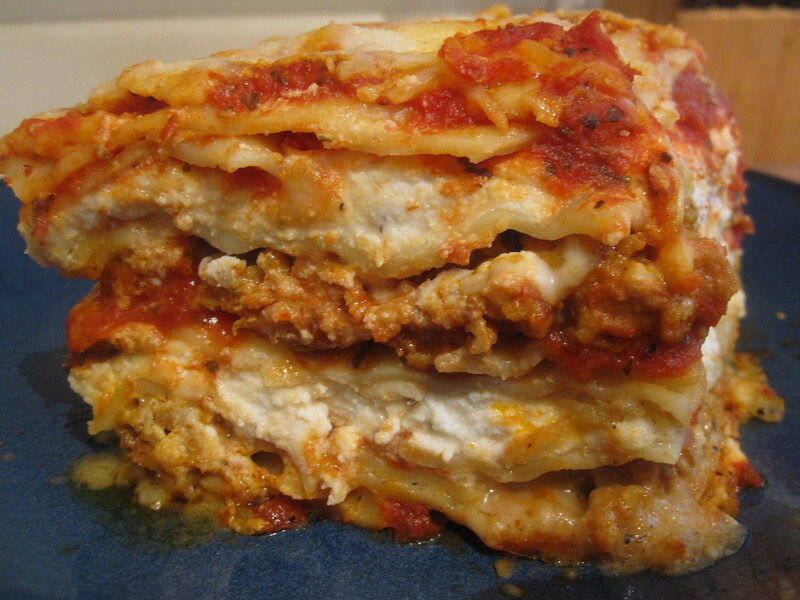 Lasagna is one of my favorite foods and this looks amazing. Waiting for it to rest & cool a bit after baking is always the hardest part – I usually sit and stare at it and sneak tiny bits off the top! !